Instead of applying artificial fertilizers to your garden, try planting cover crops instead! Also referred to as green manure, cover crops do the same things that store-bought fertilizers do, but naturally. With very little effort, you can add even more vegetation to your lawn, vegetation capable of deterring weeds, nourishing soil, and preventing pests and disease. How, where, when, and which types should you plant? The following tips should answer many of your questions. To plant cover crops, till a patch of soil with a rake, spread the seeds, and rake them into the ground. If you’re planting cover crops in the fall, make sure to do so at least four weeks in advance of frost, so that the seedlings have time to establish themselves. Cover crops are relatively low-maintenance. They only need to be watered in times of drought. They also have to be killed regularly, as counter-intuitive as that may seem. Cover crops need to be mown down or cut with weed trimmers when they start to flower or seedheads begin to emerge on grains. That way, they won’t set seed and the topgrowth won’t get out of control. Afterwards, wait a day or two then till the ground again. You’ll also want to wait two or three weeks before planting flowers or vegetables in this space. Speaking of space, if you’re worrying about how to fit cover crops into your garden plan, don’t fret! Big or small, every yard can accommodate them. One strategy for planting cover crops efficiently is called succession cropping. This involves planting them as soon as spring vegetables have been harvested. 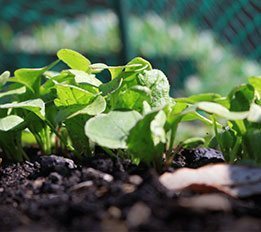 Cover crops grow fast enough that there should be time for them in the window between plantings of early vegetables and frost-tolerant vegetables. Another good time to plant cover crops is in the fall, after popular staples like cabbage have been harvested. You can also interplant cover crops with vegetables, but this takes some effort to succeed. Timing is important: Allow the vegetables to establish themselves then plant the cover crops into the bed one-third of the way through the vegetables’ growing cycle. Cereal rye can be planted in the late summer or early fall. It grows throughout the fall then resumes its cycle once the winter is over. Annual rye is practical in the sense that it allows gardeners to plant their other crops earlier in the season. With annuals, you don’t have to rake the soil and wait three weeks before planting flowers and vegetables. These two cover crops are often grown together because they complement one another. Legumes foster nitrogen while grains produce organic matter. They seem to know that they make a great pair, as peas will climb oats while they’re developing. Plant this cold-tolerant duo in the late summer or early fall. They will winterkill, then start again in the early spring. This hybrid creates a lot of beneficial organic matter, growing five to twelve feet tall. To keep it tidy, it should be cut back to six inches once it gets to be three feet tall. Since it’s vulnerable to the cold, another trick is to plant sorghum-sudangrass only seven weeks before it frosts, when it will recede naturally. Buckwheat is a broadleaf cover crop that smothers weeds effectively. It also grows quickly, only taking six to eight weeks to mature, so plant it between spring and fall harvests. You don’t want buckwheat to go to seed, but its white flowers are very useful as both filler for arrangements and beacons for beneficial bugs. This groundcover fixes nitrogen and enriches soil. To ensure success, treat clover seed with Rhizobium bacteria. Available in many different shapes and sizes, there’s a type of clover for everyone! White Dutch clover is a great substitute for mulch, thriving in the shade and well-trafficked locations. Yellow blossom sweet clover is especially good at nourishing and strengthening soil. Crimson clover isn’t just attractive, it attracts beneficials as well.